The fourth edition of the MENT Ljubljana festival brings the continuation of the appointMENT visual project. 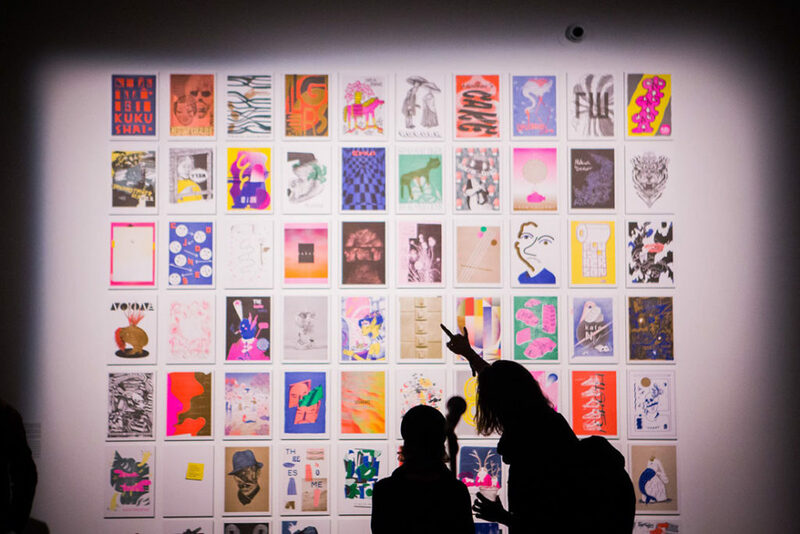 The exhibition first took place last year, resulting in a limited edition series of unique music art posters created by 50 young artists. Each of the authors was assigned one of the music acts performaing at the festival, with the act’s music serving as the main source of inspiration – the title appointMENT itself also referring to a blind date between the artist and the musician. 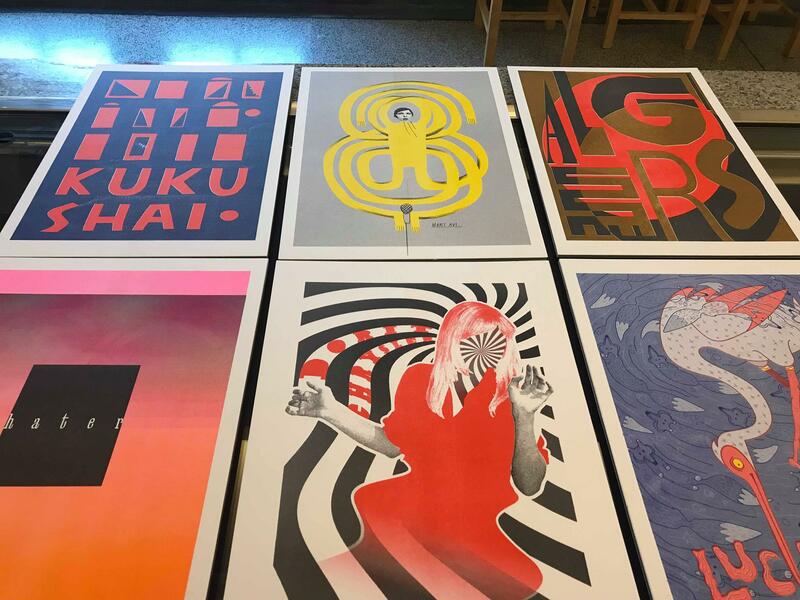 This year, the second edition advances the project with a new technique – namely, the 69 artists utilised risograph printing. 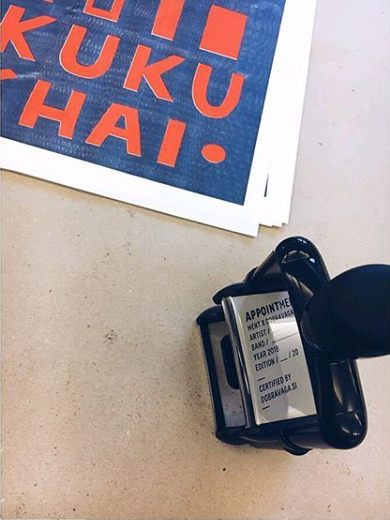 The risograph is an economical, environmentally friendly printer of Japanese origin, whose printing process, similar to screen printing, allows for unique colour overlays and therefore distinctive prints. 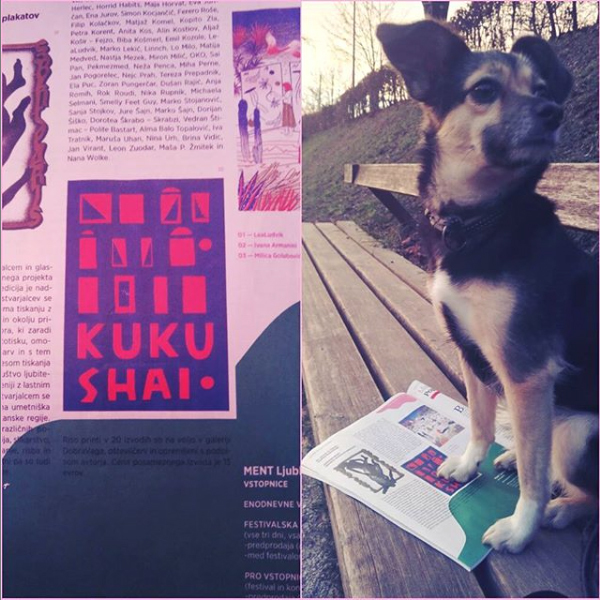 The printing process was overseen by Riso Paradiso, a Slovenian collective of riso print fans that has the only risograph in Slovenia. The selection of artists this year is even more colourful than in 2017, with the young Slovenian artists joined by the fresh contemporary artistic production from the broader Balkan region. The various artists thus come from different fields, such as illustration, painting, graphic and industrial design, drawing and graffiti art, with their interpretations of the music equally varied. Featured artists: Nevena Aleksovski, Urška Alič, Žiga Aljaž, Ivana Armanini, Miha Artnak, Žiga Artnak, Ivana Bajec, Nina Čelhar, Klara Debeljak, Manuel Fabris, Mina Fina, Milica Golubović, Davor Gromilović, Nika Ham, Tisa Neža Herlec, Horrid Habits, Maja Horvat, Eva Juričan, Ena Jurov, Simon Kocjančič, Ferero Roše, Kapitan Kolačkov, Matjaž Komel, Kopito Zla, Petra Korent, Anita Kos, Alin Kostiov, Aljaž Košir – Fejzo, Biba Košmerl, Emil Kozole, LeaLudvik, Marko Lekič, Linnch, Lo Milo, Matija Medved, Nastja Mezek, Miron Milić, OKO, Sai Pan, Pekmezmed, Neža Penca, Miha Perne, Jan Pogorelec, Nejc Prah, Tereza Prepadnik, Ela Puc, Zoran Pungerčar, Dušan Rajić, Anja Romih, Rok Roudi, Nika Rupnik, Michaela Selmani, Smelly Feet Guy, Marko Stojanović, Sanja Stojkov, Jure Šajn, Marko Šajn, Dorijan Šiško, Dorotea Škrabo – Skrabzi, Vedran Štimac – Polite Bastart, Alma Balo Topalović, Iva Tratnik, Maruša Uhan, Nina Urh, Brina Vidic, Jan Virant, Leon Zuodar, Maša P. Žmitek and Nana Wolke. 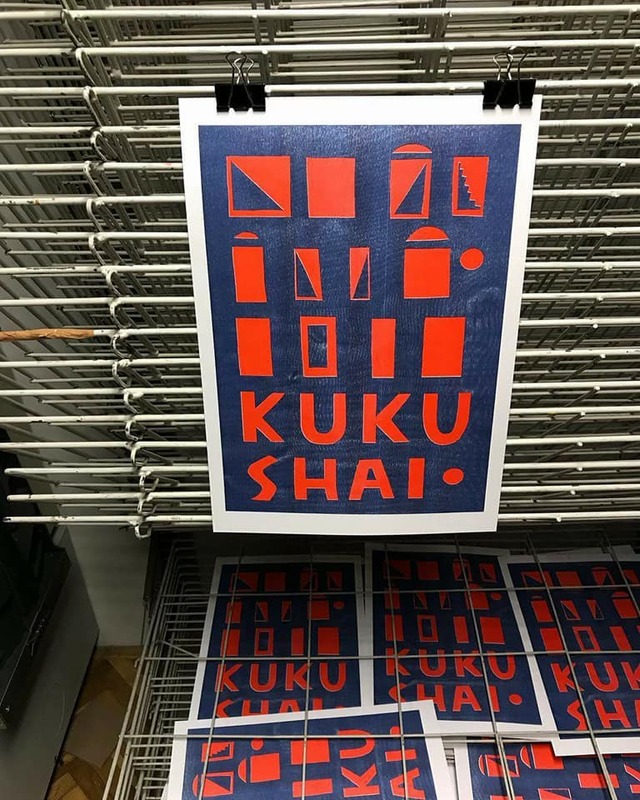 Individual riso prints in a total of 20 copies are available at the Dobra Vaga gallery, numbered and signed by the author. The price of each print is 15 Euros.